Drum handling made easy. A good field of vision allows the operator to continually observe the drum being handled. The operator does not leave the drivers seat. 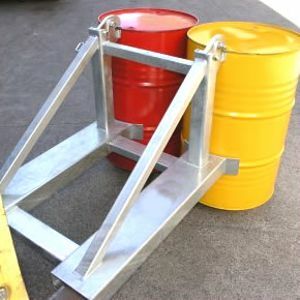 The unique Grab Beak design provides a high clamping force, even when travelling over uneven ground. With few moving parts this attachment requires no down time for repairs. These Lifters are suitable for standard 205 litre steel or plastic drums. 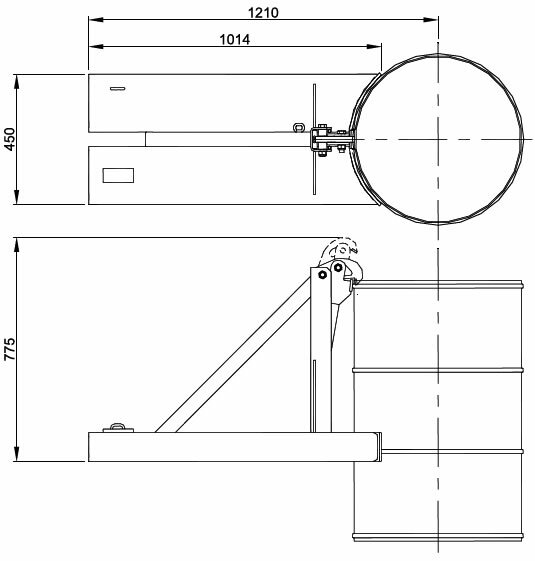 The type BGN-1 has been designed to lift a single drum while the type BGN-2 has been designed to lift 2 drums side by side or a single drum by either Grab Beak mechanism. A contoured rest acts at a point low enough down the drum to prevent damage to the drum and its labelling.